Sweeping views of the Pacific and its sunset, with pleasant casual seafood cuisine. Open Mon.-Fri. 11 a.m.-10 p.m., Sat.-Sun. 9 a.m.-10 p.m.
: The sweeping views of the Pacific and the beach are no longer the only reason to wait in line at Gladstone's to get a table right along the coastline with your family or friends from out-of-town. In recent years, the food and décor have improved. 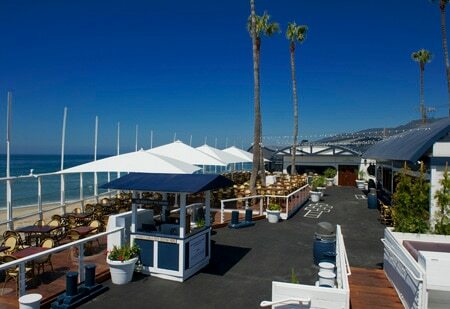 Out on the wooden deck there are modern white and dark brown booths and tables shaded by white umbrellas. Transparent barriers allow unobstructed views of the surrounding sandy scenery. If you'd rather not have the ocean breeze tousle your hairstyle, there is also plenty of seating indoors. 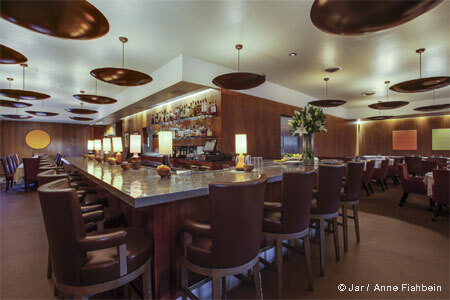 Gladstone's presents a pleasant, casual, culinary experience built around seafood. (Part of the fun is having your leftover food packaged up in a tin foil animal.) There are many items to choose from: the famous chowder, seafood towers (small, medium or large), crab cakes, and salads for appetizers. The catch of the day (and its preparation) varies; perhaps you may find wild swordfish, steelhead trout or halibut. Other options are spice crusted ahi tuna and fish 'n' chips. If your appetite demands meat, have the New York strip steak. Indulge in the hot fudge brownie sundae for dessert. Gladstone's also has a long list of specialty cocktails worth the drive, particularly enjoyable combined with the sunset.